Mister Miracle is one of my favorite characters created by Jack Kirby. Out of all the New Gods, the story of Scott Free, sent as a baby to Apokolips by Highfather in a bid to stave off war, was the most compelling. 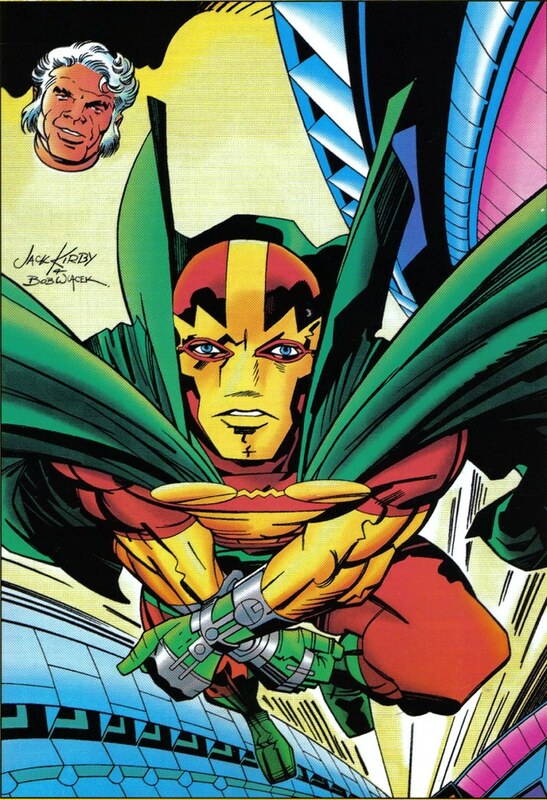 Not only did Mister Miracle have the best costume (sorry, Tim Gunn, I disagree), the best gadgets (a Mother Box and lots of nanotech before there was nanotech), the best origin (escaping from a totalitarian regime ring any bells for a Jewish artist?) --but he also had the best girlfriend, Big Barda. 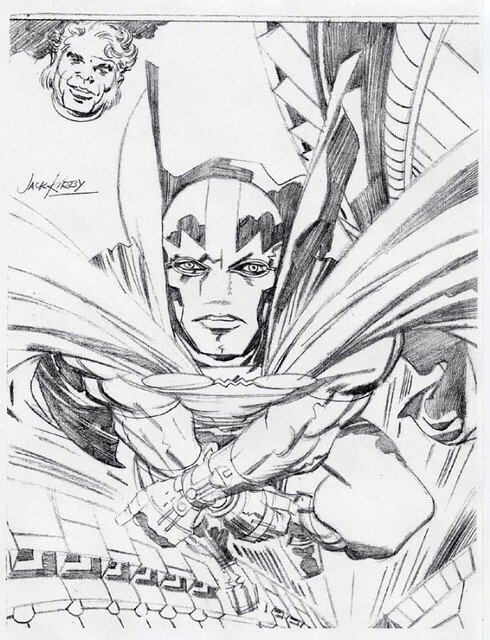 TwoMorrows has published a lot of cool Mister Miracle pieces, but this one, the cover to the Jack Kirby Collector #21, seems so iconic that it could have been a cover on the original series. I use the same words over and over to describe art that I love. Words like really, great, and poster. But this image is really great and it should have been a poster. 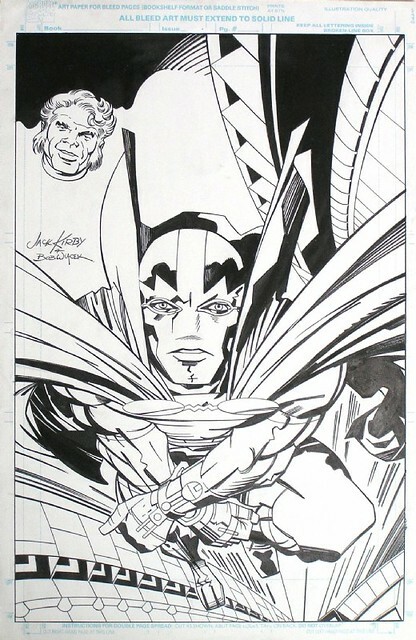 Tommy Kohlmaier owns the version of this cover that was inked by Bob Wiacek. Compare this to the original pencils below. Wiacek keeps the King's lines intact, adds a few dimensions and smoothes out a few things. Here are the original pencils for this piece (owned by Tod Seisser), which was published originally in the 1971 Kirby Portfolio. That portfolio had some other New Gods drawings as well, worth checking out here. Nuff Said! Link: Tod Seisser's Gallery at ComicArtFans.